If you need help with a divorce, contact me, Jacksonville Attorney David "Craig" Calley. I have over a decade of experience with the resolution of legal matters. I have handled cases ranging from simple, uncontested cases to complex property division and child custody disputes. I work directly with you to help you identify and define what's most important to you, and to anticipate the problems that might come up in your case. My goal for all of my clients is to help you achieve your objectives with a minimum of stress, uncertainty, or expense. For divorce clients with no children, no real estate, and no significant debts, I can prepare and file a petition for dissolution of your marriage on terms that anyone can afford. A simple and inexpensive divorce is usually sufficient to meet the needs of anyone whose marriage lasted no more than a few years, and I take pride in my ability to keep my clients' legal expenses down. 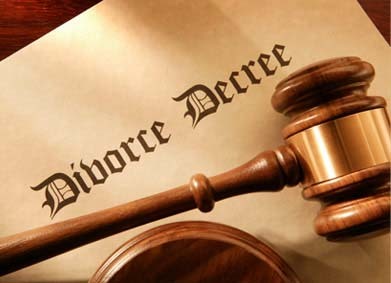 In other cases, the time and effort necessary to successfully conclude your divorce case will depend on many factors, such as the nature and extent of the marital assets and debts, each spouse's ability to maintain a reasonable standard of living, and perhaps most frequently, whether the divorcing spouses can agree on questions concerning child custody and child support. Most of my clients recognize that it is in their interests to negotiate and reach agreement on issues that are likely to present problems. When you're able to compromise on disputed questions, you don't have to worry about the decision the Family Court Judge might reach on the question. One of my main jobs is to make sure that you understand your rights and responsibilities in a divorce case, so that you will neither have to settle for an unfavorable result, nor hold out for something that goes beyond your rights under Florida family and matrimonial law. I can help guide you toward an agreement that meets your needs and goals. When it is necessary to go to court to establish and enforce your rights, however, I have the skill and experience necessary to put your best case forward, even when expert testimony and highly technical evidence are required to prove the facts that will support your legal claim or defense. Contact me for assistance with a divorce of any type.